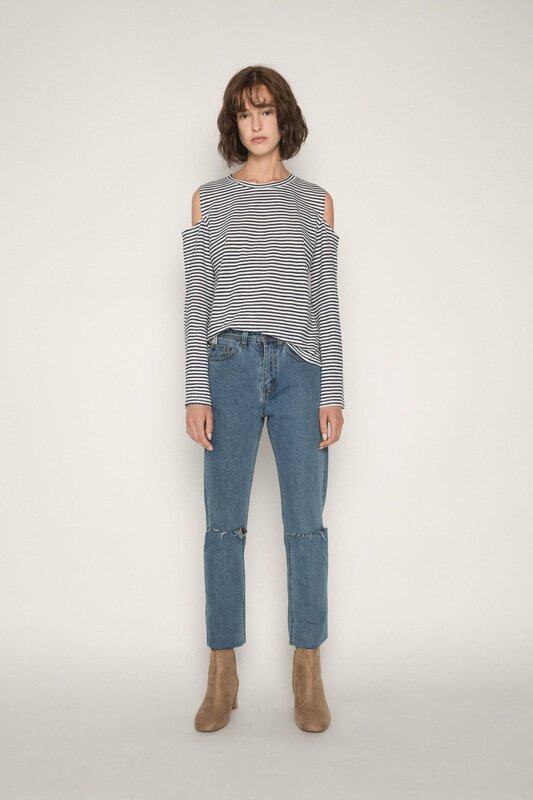 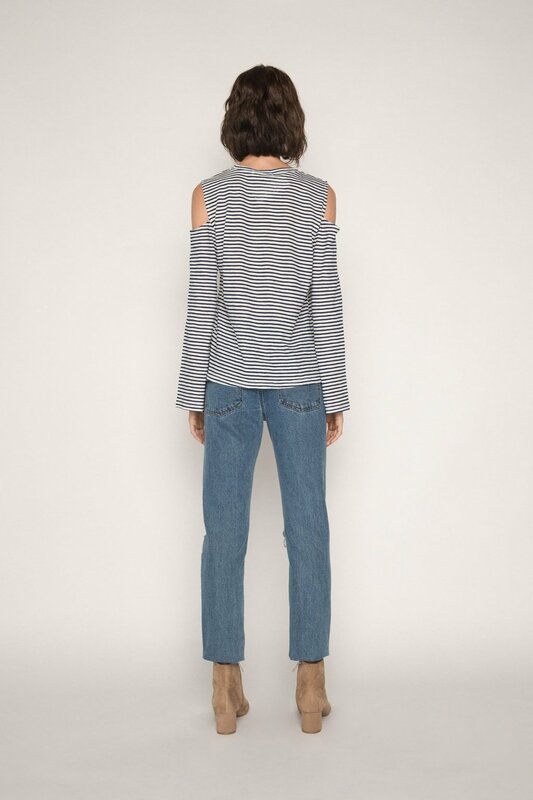 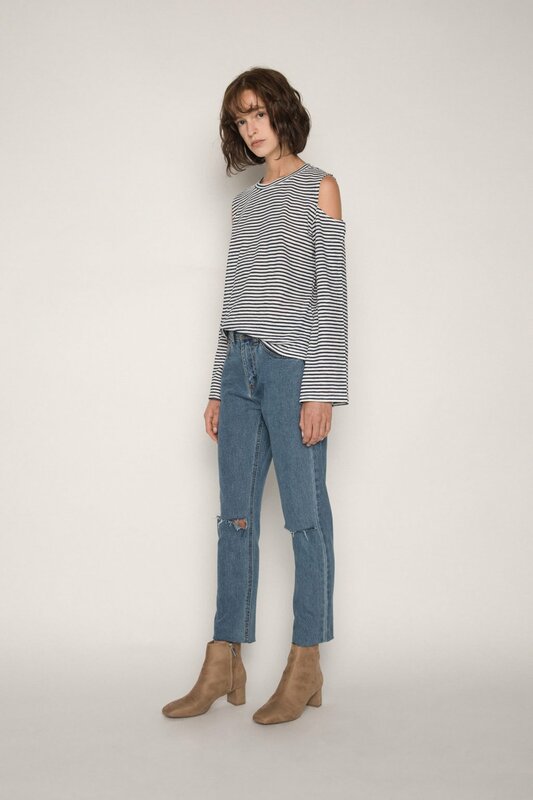 This cold shoulder top features bell sleeves and small side splits along the bottom for a more modern feel. 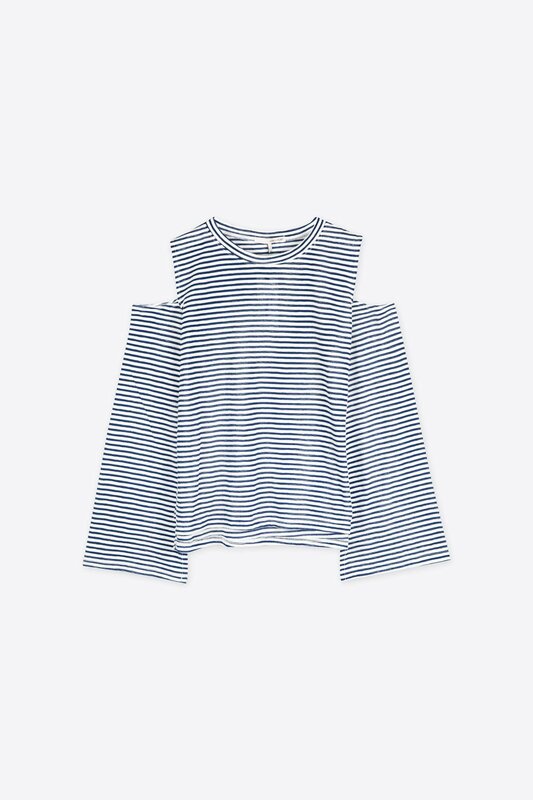 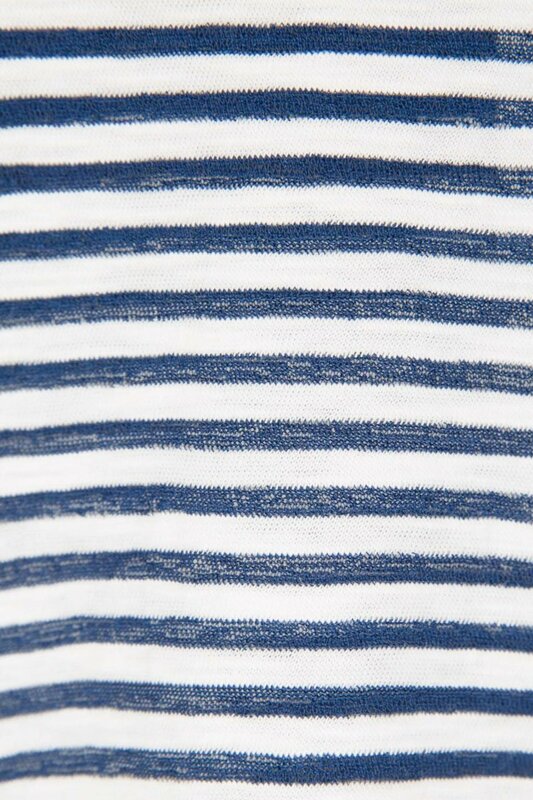 Made in a lightweight navy blue striped fabric, this top adds a playful touch to your outfit and can be easily styled. 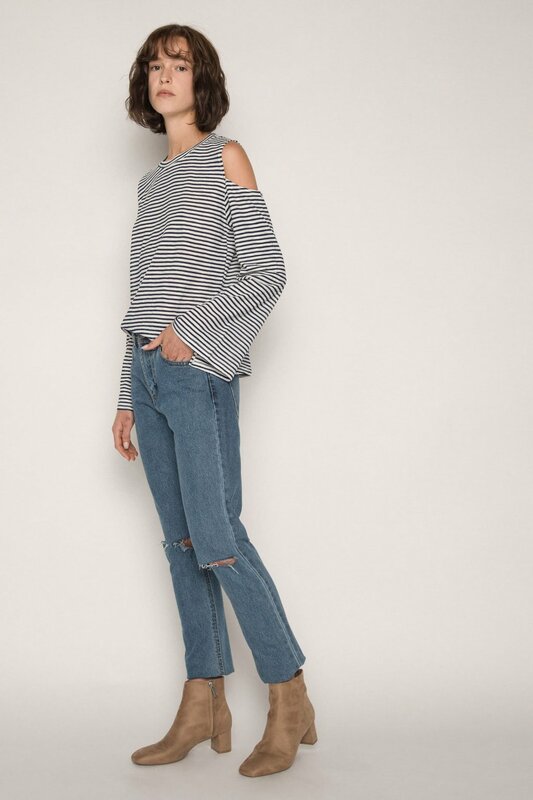 Wear this top with a pair of light washed denim and slip ons for a cool yet casual look.